The frame is a fine part of the artwork you’re displaying. Whether it’s your grandmother’s wedding photo, the only surviving picture of your grandparents, or a fine illustration or photography, you’ll want to presented in an aesthetically pleasing manner. Additionally, you’ll want it preserved from the corrosive elements in the air. Unless you’re an expert at building, crafting, and tools like this guy here, the best way to accomplish both preservation and presentation of your art is to get a custom picture frame from a reputable framing expert, such as Images and Details Framing in Locus Valley, NY. 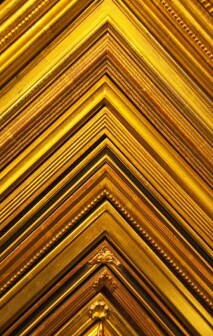 Don’t forget about the archival aspect of getting your artwork custom framed. Artwork is an investment that is susceptible to moisture, dust, heat, cold, smoke and other elements. Having your artwork protected is one of the reasons why you do not want to skimp on quality when it comes to framing your best pieces. 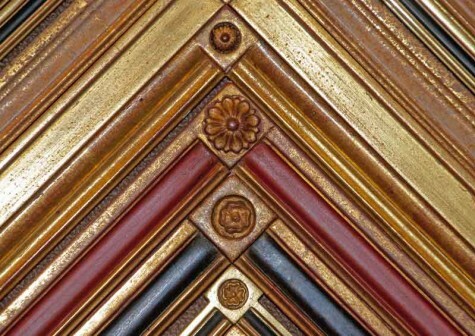 At Images and Details Framing, you will find a vast selection of frames ranging from the simple to the ornate. 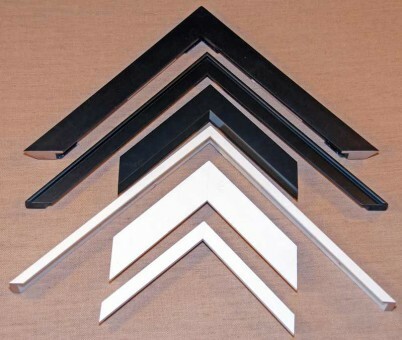 Frames are frequently customized to meet special design needs. We’ll help you create the best frame, to make your picture perfect. When it comes custom picture frames, Images and Details carries the best of the best. Materials include renewable woods and everyday favorites, along with finer wood frames. We source materials and artisans that are true to the trade. Your photograph or artwork will be well preserved in a custom picture frame that will look beautiful on your wall. We offer the best of the best for your home. 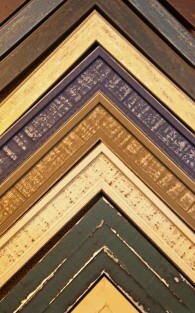 Hand-carved custom picture frames come in various widths, level of ornate, and corner options. Below are just a few samples. 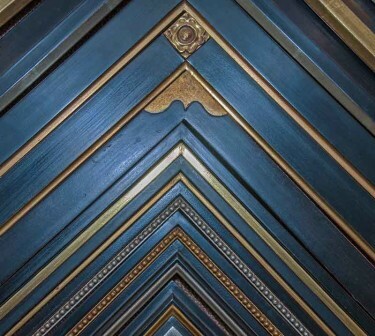 You’re certain to find the perfect frame at our shoppe in Locust Valley, NY. Stop by and browse, we enjoy the company. 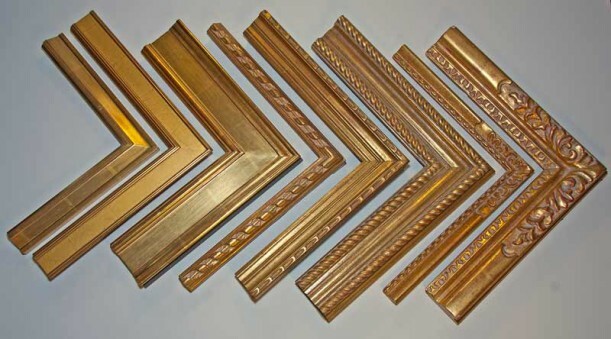 Custom picture frames that are traditional are usually less ornate than hand-carved frames. The frame draws your attention to the art without overpowering it. 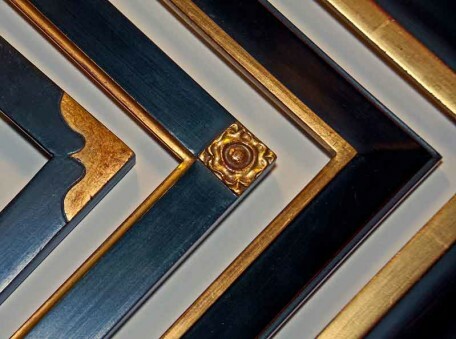 Available in a multitude of colors, materials, thicknesses, styles, and textures, Traditional Custom Picture Frames are best viewed by coming to our shoppe in Locust Valley, on the North Shore of Long Island. We will work you in creating a beautiful addition to your home. Sometimes you want the frame to make a whisper, instead of a statement. 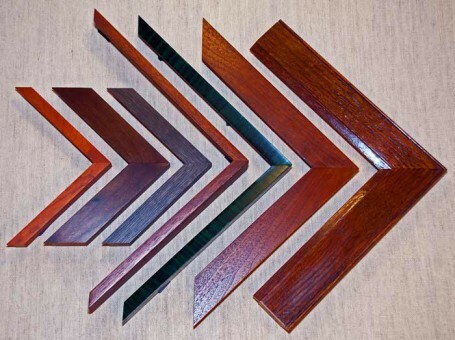 Contemporary custom picture frames present a sleek look with simple lines, colors and textures. 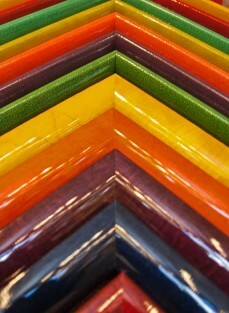 Preserve your art with fine matting, and you’re all set! Your wall will look elegant and your artwork will shine. Not all artwork is meant to make a statement, or provoke profound thought and emotion. Sometimes art is playful and mean to conjure feelings of lightness and whimsy. This kind of artwork needs colorful and playful custom picture frames. 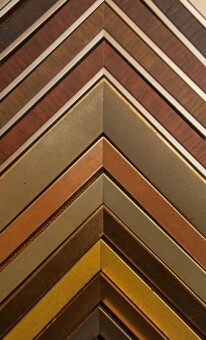 Images and Details Framing has a plethora of colors, textures and frame materials for you to peruse. Add in the custom matting and you’ll be happy to display your project in your home. Stop by and take a look. We love visitors.